On November 27th participants from Cancer Support Community celebrated the 1 year anniversary of our partnership with Holy Name Medical Center. 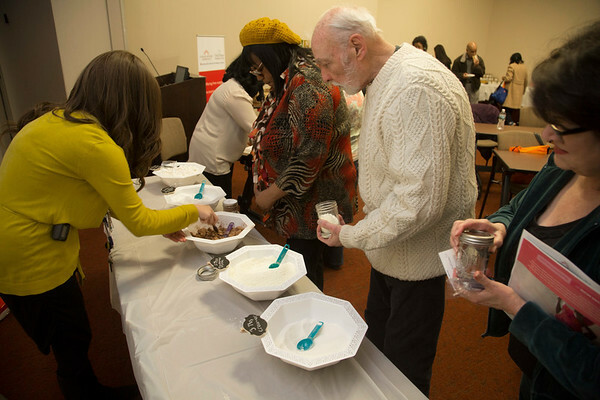 This event drew 65 participants and featured a gratitude wreath, make your own hot cocoa station, smoothie station and a talk from Life Coach and Cancer Survivor Gina Costa. Programs and classes were on display around the room, so participants can get an idea about new classes that are being offered.